Richard Yarde was a master of watercolor, and his works are punctuated by wide expanses of primary colors, often gridded to enhance the sense of space. 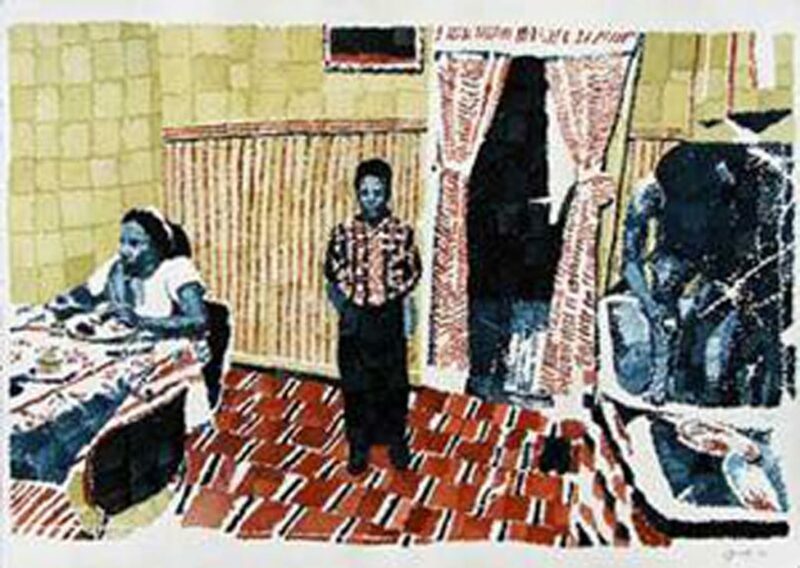 This work, along with other large-scale watercolors set in interior spaces; offer a view of the artist’s childhood growing up in Roxbury in the 1950s. Yarde’s interiors are reductive compositions, highlighting key aspects of the space, while creating a visual contrast between the figures and the bright background. The Apartment is also a personal narrative that speaks to both race and class during a time when the perceived “ideal” living space was a single-family home in the suburbs.